I have two sisters, and I was talking to each of them on different occasions about how much I had been using my blender lately. The main gist of the conversation was about how aggravated I'd become because my blender was a piece of crap. My sister Patti recommended the Magic Bullet. She likes it, and so do her four boys, as they use it often for all kinds of things. My sister Chris recommended the Ninja Express Chop. She told me she “uses it daily for everything.” So it was time for me to go shopping and check out my options. When I saw the Magic Bullet, my first reaction was that I would never be happy with all of its pieces and parts. Seriously, the one I looked at has 17 pieces. For what? I just couldn’t imagine that I would need a Deluxe Magic Bullet ,unless it also did the laundry and scrubbed floors or something. It seemed way too complicated and also over the price of what I could spend. I took a look at the Ninja Express Chop. My first thought was “will this be able to do the things I want to use it for?” Okay, so it’s a chopper meant to chop, mince, and puree. But could I make a shake in it if I wanted too? I chose the Ninja Express Chop initially for two reasons: 1) it was only $19.94 + tax at WalMart and 2) it appeared easy to use because it only three parts, which for me, meant no headaches with losing pieces, easy clean up, and easy storage. I like to keep things simple. Since I am usually only cooking or baking for two people, the fact that the Ninja Express Chop is a two-cup capacity was not a problem. This model claims to “chop, mince, or puree ingredients into soups, sauces, dressings, toppings, dips, and more.” I love the “and more” part because I truly use my Ninja for everything. The power pod is very easy to use with one-touch pulsing. It gives you precise control which helps eliminate the chance of over chopping something into mush. The splash guard really helps eliminate messes and also doubles as a storage lid. I can make a salad dressing, for example, and simply put the leftovers in the refrigerator. The Ninja 4 Blade Technology works wonders. It’s small with just a few parts for easy clean up and storage. I wish there was a handle on the bowl. It is small enough to hold, but I feel a handle would give you a more secure feeling while using the unit. Also, a handle would make it easier to pour out of the bowl. There are so many things you can easily prepare in this blender. Here are some great ideas to get you started. 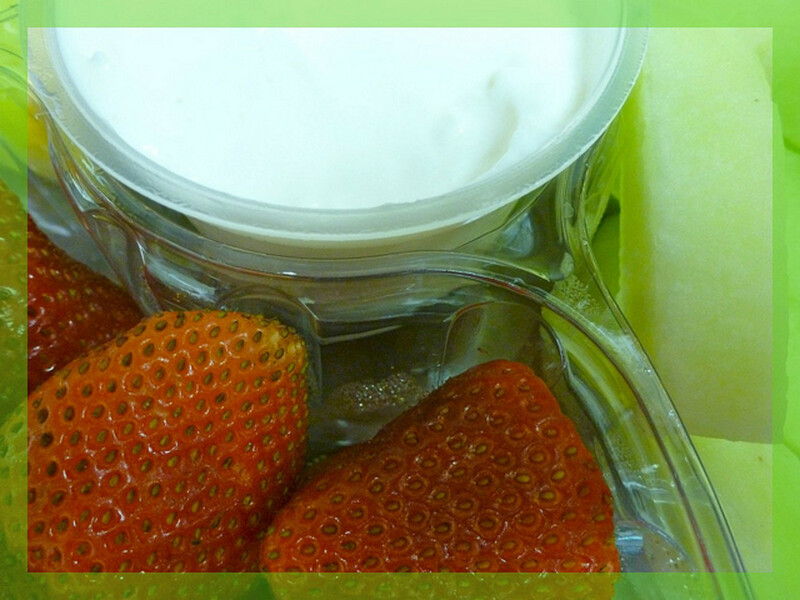 Serve with fresh fruit (bananas or red grapes are my favorite). Refrigerate or freeze if not using immediately. Decorate with drizzled chocolate syrup on top if desired. Pulse chop all ingredients (celery on the bottom) to desired consistency. 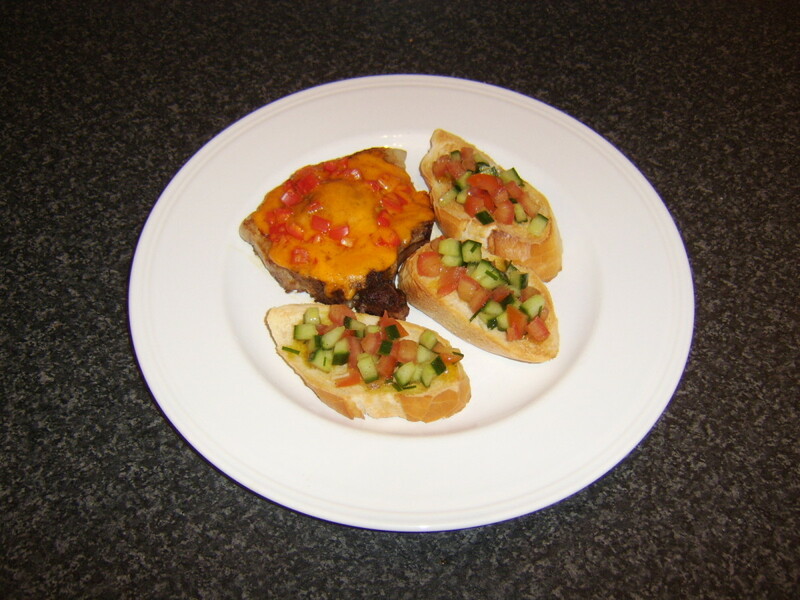 Serve on toast, crackers, in a wrap, or on a bed of lettuce. 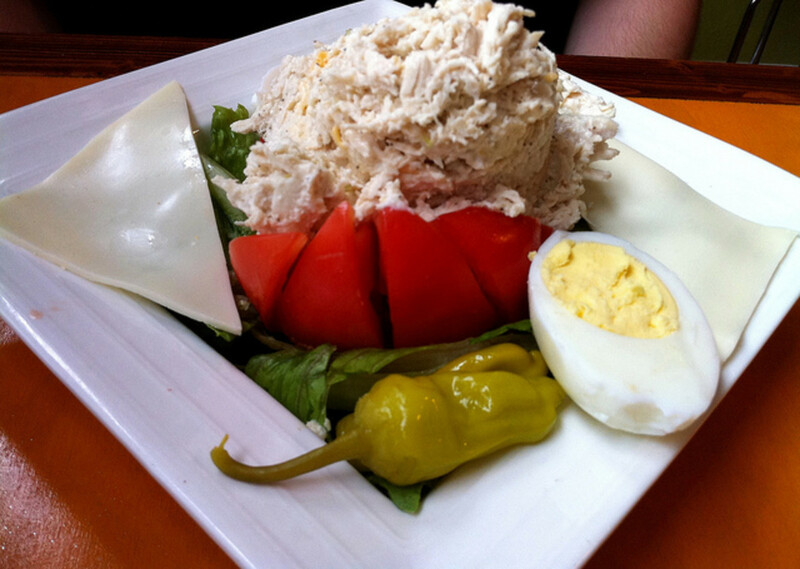 Option: Substitute tuna for chicken. Chop red grapes for garnish on top of salad or mix into salad. Pulse chop all ingredients except sour cream to desired consistency. 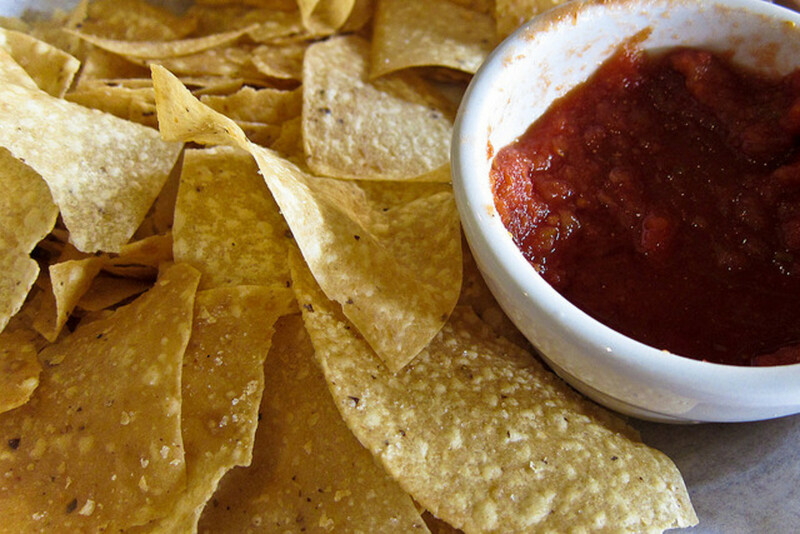 Options: Add peppers such as jalapeno, bell peppers, or banana peppers. Puree all ingredients to desired consistency. Serve on bread, crackers, or a bed of lettuce. Options: Add onion or relish. I really love my new blender and hope you give it a try. If you are interested in something that has a larger capacity, please check out the other Ninja products that I have listed below. Can you make shakes with ice in the Ninja Express Chop? I have not tried it. I believe that it would be great at chopping ice but might get messy making that into a shake. 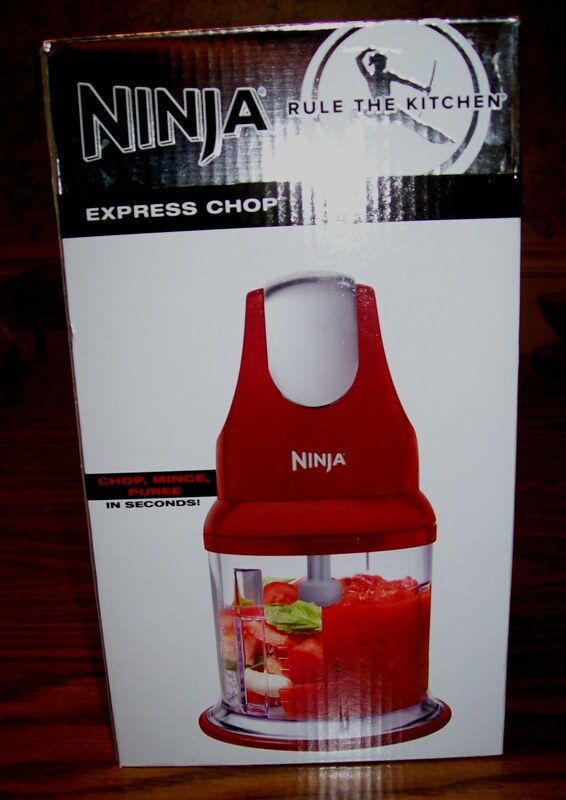 I’m using the Ninja Express Chop NJ100, how do you get carrots to puree? Try adding a bit of liquid/water. I love love love your comment. Glad you got hooked lol. I bought the ninja express chop a year on a sudden shopping whim while i was doing Walmart.It sat in the kitchen cupboard never being unboxed or used until a few weeks ago..I began buying fresh produce and fruit in Walmart's produce dept at the front of the store ..I've been having a ball blending different stuff and mixing and matching and more recenly doing a mango ,as i've never had mango juice..oh man..excellent...i'm a single guy who's basically always been a junk food junkie with no desire for fruit or fresh produce unless bought as a meal at Denny's or some other diner..I gotta say,this NInja Express Chop has opened my tastebuds to a lot of different stuff that i never would have tried if i hadn't gotten the momentary 'blender' bug while at walmart that one night a year ago..I'm so glad i finally got it out of the cupboard to play around with it..I'm still eating junk food,but just as much fresh fruit and veggies as well.I'm a lot healthier since i've been using this NInja Chop Express..It's amazing. So glad you found these ideas. Enjoy your Ninja~it's a pretty powerful little kitchen tool! Happy Holidays! Hi Desmith ~ I used clip art and created it PowerPoint. I then turned it into a jpg photo. Then I used the photo capsule on the hub. Hope this helps. Thank you for stopping by. 5 years ago from Tallapoosa, GA.
Good article, but my question is about format; how did you get the little fruit dividers in the breaks? Are those image capsules or titles with HTML inserted or what? How'd you do that? Hi Sid ~ you are very welcome! 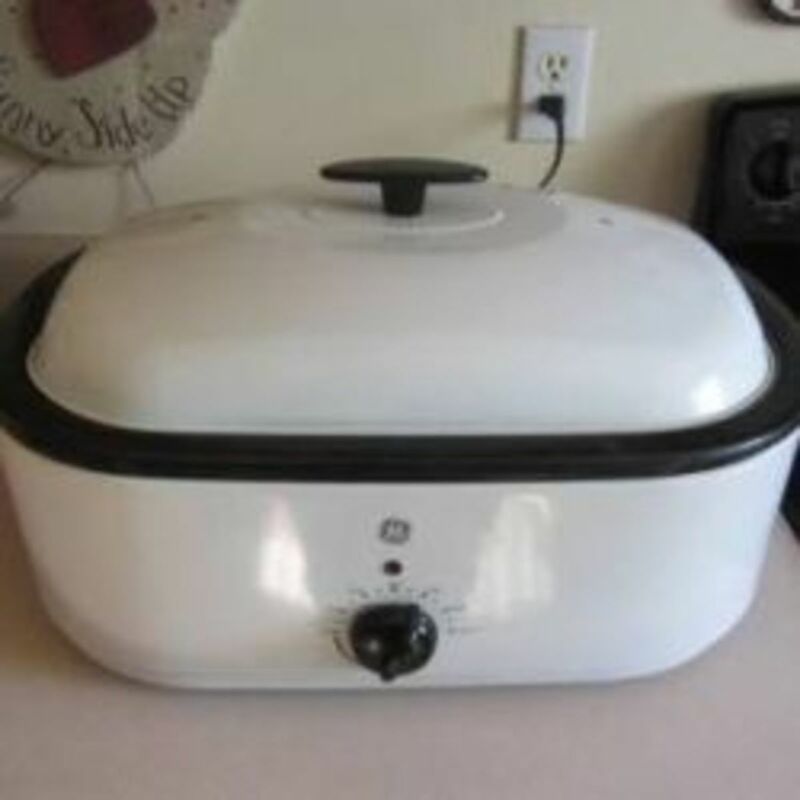 I agree that many inexpensive small appliances wear out quickly and don't work as described. This little Ninja is pretty powerful. And it IS very easy to clean. That is one of my favorite things about it. I've had mine for about a year. It was fairly new to me when I decided to write this review. Thanks so much for stopping by. Thanks! I really appreciate this review. 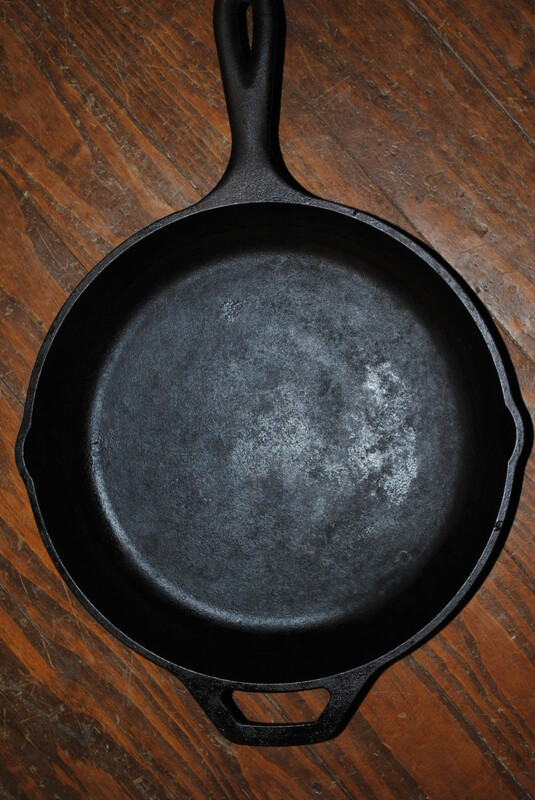 I'm very cautious about inexpensive kitchen devices, because, so often, they just wear out. Also, so many say, "easy to clean" and are anything but. (I can't stand it when it takes longer to clean the gizmo than to make the meal!) How long have you had your Ninja Chop? Hi Helen ~ Gosh, well that is ironic that you both cut your finger on the blade. It certainly is sharp. That's what makes the Ninja so powerful. But you really need to be careful. I appreciate you stopping by. I love the Ninja Chopper. I quick touch is great. But when I used it I cut my self on the bade, guss I did not pull it out first, OUCH!! Tonight I used it for a mushroom cream sauce, came out perfect. My husband went to clean it and cut his finger really bad. Other then that its great. Wowee! You certainly know how to write a fantastic product review. I'd buy this Ninja even if I had 10 more here in my kitchen. The recipes look so inviting. The photos are just awesome...and by the way...so are you! Big votes on this one with plenty of sharing. Hi Sunnie ~ just so you know, the review is of the Ninja, not the MB :) I always appreciate when you stop by. Have a great week! Sharon this was a great review. It is so hard to order appliances sometimes as we just don't know how well they will work. Being directionally challenged, the simpler the better..lol I love the recipes and the break down of the Magic Bullet. Thank you..great job! Hey Lisa ~ thanks! I've never tried the Magic Bullet and I do believe it does "more." And so do the larger Ninja projects. But for me, the Express Chop was all I need. I appreciate your feedback, thank you so much! Hi Global-Chica ~ thank you for the great feedback and votes too. I really hope you like the Ninja! Hey Mike ~ I'm glad you liked this review. I have seen the Nutribullet and know people that have it. I don't remember what the cost was but I know it was more than the $20 I spent. 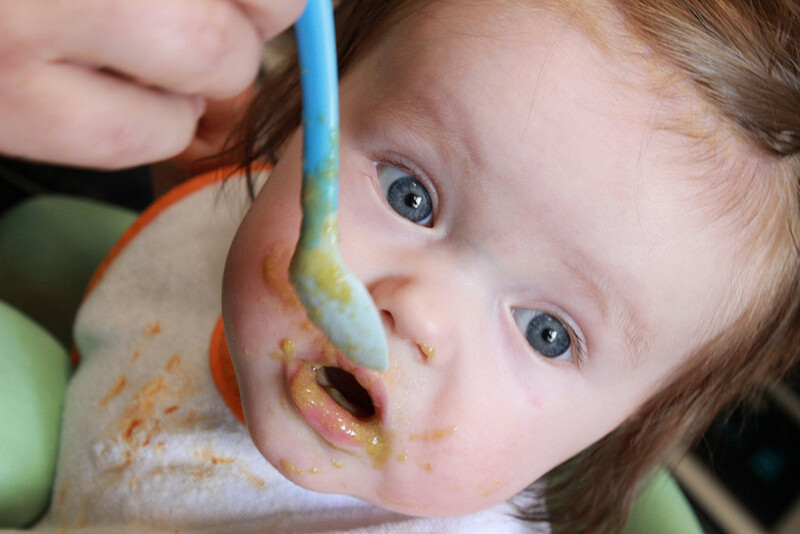 And yes, baby food can be easily made in the Ninja Express Chop. Thank you so much for your feedback. Dr. BJ ~ Don't feel bad. I was too until I bought the Ninja! Thank you for reading and commenting! Hi Brenda ~ Yup, the price is right! But I say if your Oster is still doing a good job after 22 years, it's a keeper! Thanks for stopping by! Hi Maria ~ So you like my "slant," huh. Well I am glad :) Let me know if the Ninja talks to you whenever you walk by! Thanks for your fun comments! Hi Simone ~ I personally do think the Ninja holds up to its advertising promise :) Thanks so much for stopping by! Hi Moonlake ~ Oooh, you and Arlene both have some Kohl's cash. I think you have some shopping to do. I'm glad you enjoyed this hub, thanks. Hi Carol ~ You are very welcome. 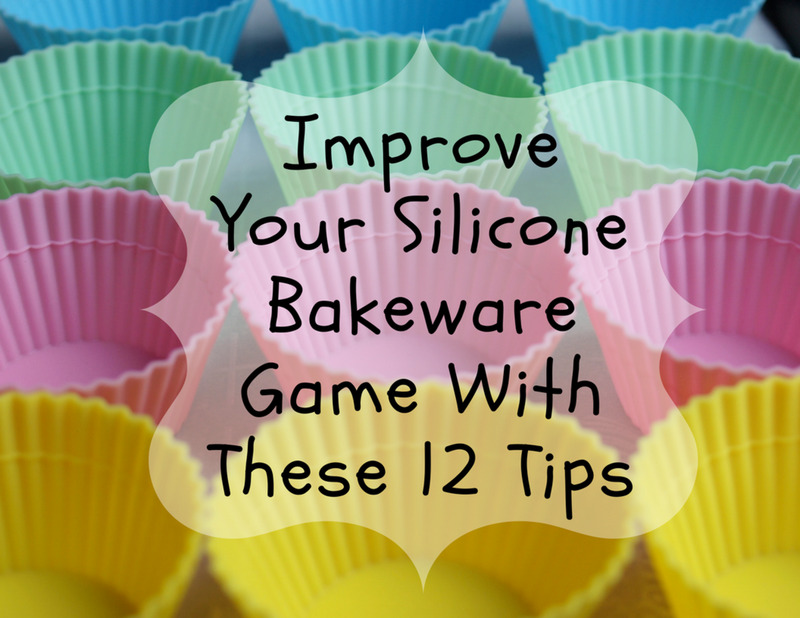 It is a great, simple and inexpensive gadget to add to your kitchen. Thank you for stopping by. Hi Denise ~ Yay, you love your Ninja too! I use it for just about anything too. Thank you for the compliments. Hi Penelope ~ It really is a great gadget. Thanks so much for stopping by! Hi Kel ~ yeah, I do talk to my sisters about stuff like this :) You are such a good aunt buying Chase a MagicBullet at 12 years old. I have a nephew that talked a lot about being a chef when he was young. And he was constantly in the kitchen with either his mom or grandma. He's 23 now and does cook a lot at home, but I really wish he'd go to school. He looks SO comfortable cooking with all his spices, ha. Thanks for your feedback. Hey Josh ~ I am assuming you received the banana chocolate milkshake in the mail by now? At least I hope so :) Yeah, I agree, because it's called Ninja, I'm sure many guys would like it too. Thanks for always stopping by. Hey Ruchira ~ FYI, Target also carries the Ninja Express Chop in some really cool colors. I have only seen it in the red at WalMart. I appreciate your feedback, votes and shares, thank you so much. Hi Debbie ~ Yes, me too, always looking for things that make life easier and less complicated. 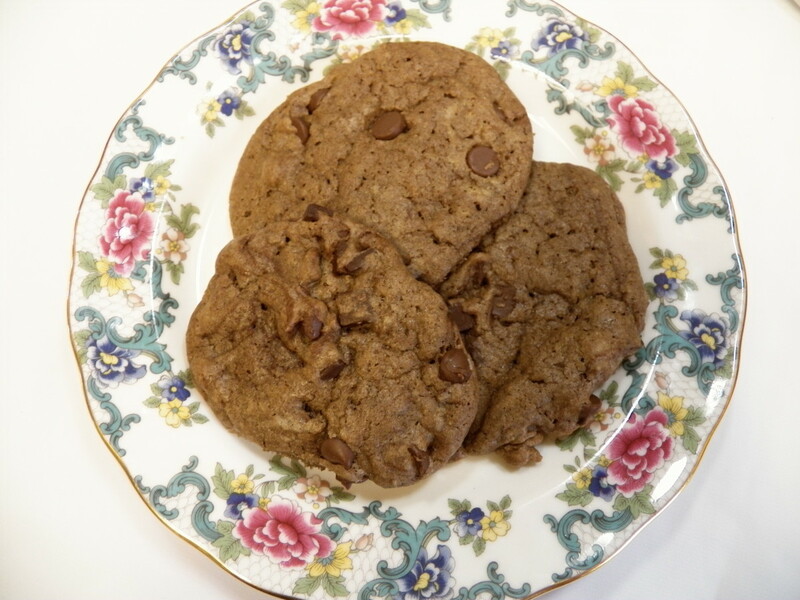 Thank you so much for stopping by and sharing. Hi Arlene ~ Hey, it's Wednesday, are you at Kohls??? I wish I had some Kohl's cash :) Hope you enjoy spending yours. I don't know what Kohl's charges for the Ninja Express Chop but at WalMart and Target, it is only $20. Thanks for your fun comments! I love your review! 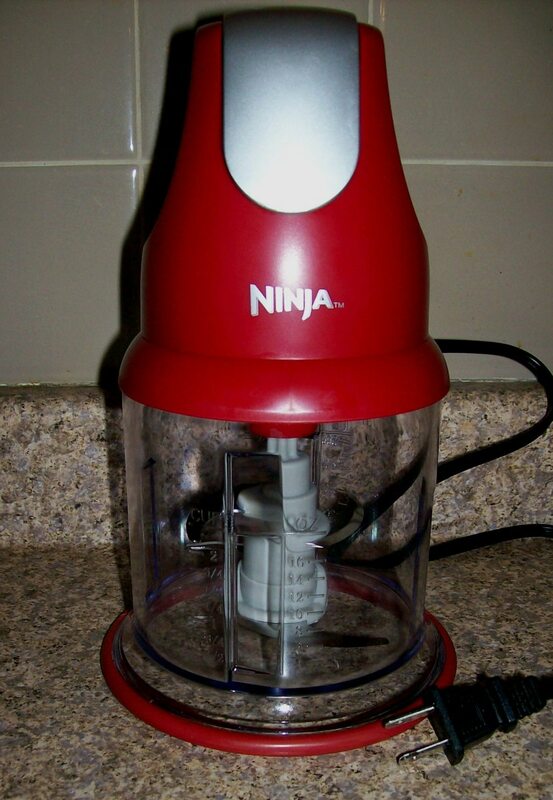 I need to buy a blender/chopper so instead of doing lots of research about which one to get - I'll use your recommendation and buy the Ninja Express Chop. Thanks! Voted up and useful. Awesome review here on the express chop product, my wife recently purchased a new fruit and vegetable juicer known as the nutribullet, it's a cool product as well, and it was created by the same manufacturer of the magic bullet. I like how you seal the deal here by explaining in great detail as about the product, and also go into presenting ways to utilize it, especially the wide variety of food recipe items, and that cool baby food dish as well, nicely done Sharon voted up and out. I was so Ninja Express knowledge-deficient, Sharon, I thought this was going to be a hub on self-defense with Ninja tactics - you know, like Bruce Lee. Now I know better thanks to you and thanks also for the recipes, m'dear. Thanks for the great recipes also. OK, OK, I'm thinking about this seriously, because I really love and respect your Slant on things! "Come on, Maria, enjoy a chocolate banana shake on me... with a nice chicken salad sandwich!" Hahaa, I always wondered if the Ninja would hold up to its advertising promise. Thanks for the review! I have some Kohl's cash will have to check this out. I love the red. Enjoyed reading your hub very interesting. Voted Up. Learn something new everyday. This sounds like an interesting gadget to add to the kitchen. The picture portray the beauty and delicousness of the Ninja. Thanks for sharing and saving us time in looking into the details. I love my Ninja. I don't know which one it is but I believe it's the lowest. We use it for smoothies, hot soups, and to chop just about anything. I agree with you on the magic bullet. We stared at them both and all of the many parts had me worried. I will certainly misplace them. I really like your recipes. Well done! Seems like the perfect kitchen gadget and thanks for all those easy recipes too. Nice hub! Hilarious Sharon...I also love that you have two sisters that you figure this stuff out with:) lol Gave me a giggle. Thanks for the awesome recipes! 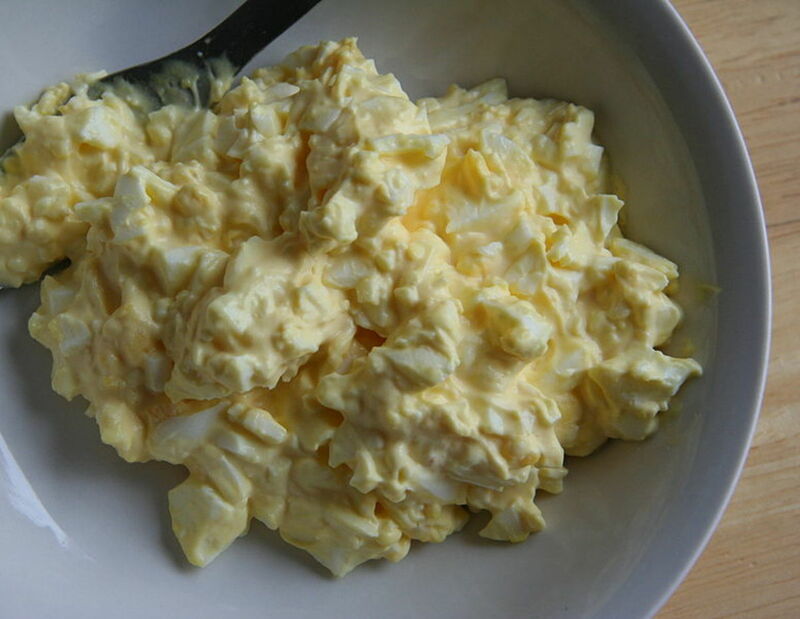 I want to try that Egg Salad. Incredible blender, I have never heard of this item, but I am a guy and Ninja souns cool! LOL Thanks for sharing this informative hub on this blender and of course your recipes! 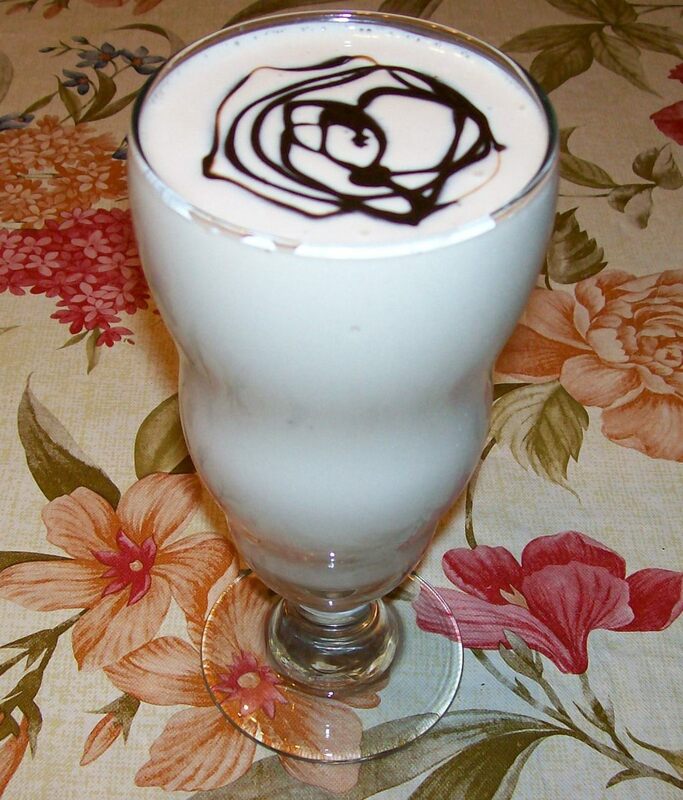 I definitely want a chocolate bannana milkshake right now! Can you ship me up one? Have a good week Sharon! wow sharyn besides enlightening us with this gadget, you gifted us with more of your precious recipes. LOL!!! Are you trying to get me to part with my Kohl's cash? I always wondered what this kitchen gadget was about because I see different Ninja models displayed at Kohl's all of the time. Your Hub is so convincing! I could wait til Senior Citizen's Wednesday and take an additional 15% (to the added 20% off coupon) off. You and your Hub make it so hard! So shame on you!